We are extremely lucky to have a country park literally on our doorstep. Play area, small train, lake, boating trips, quiet garden, cafes and water sports. It is the perfect place to spend a day and take a picnic. 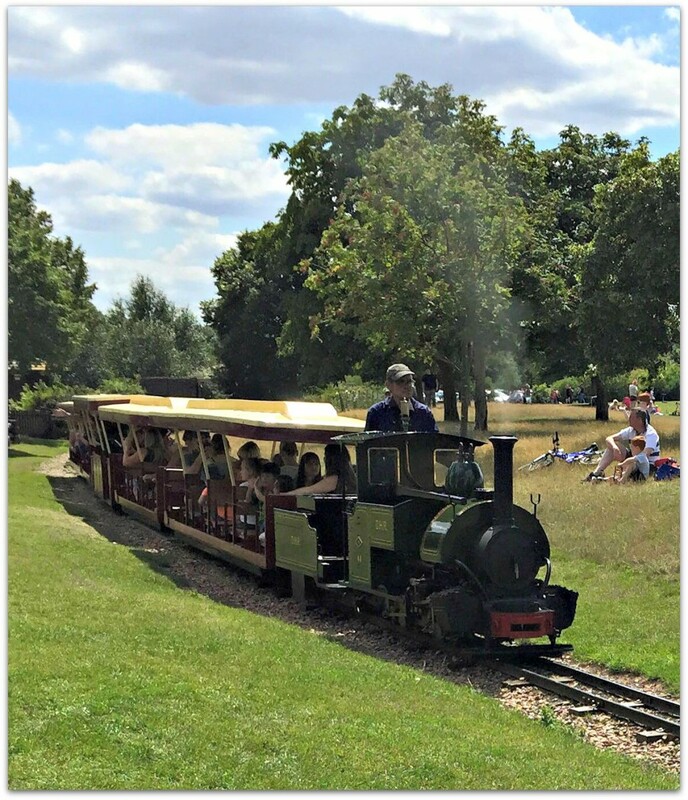 I have written about the park before when we went for a quick trip last year for a family trip and when we had a winter adventure. We decided to meet some friends there this summer and enjoy the park again. There is so much for the children to do there that it is easy to spend the whole day there. 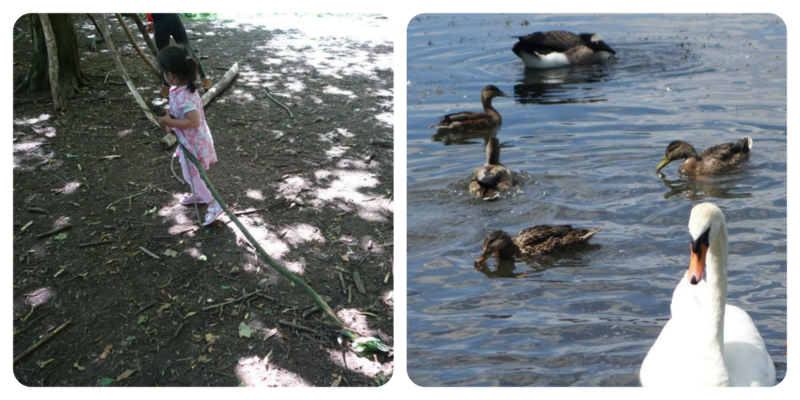 This time round the kids had fun building dens and feeding the ducks. Bee as usual tried to grab the ducks and geese. We love going there as it gets the children out to get out and get some fresh air. Parking charges are only at the weekend but even then the charges aren’t excessive if you are planning to spend the whole day there. There are plenty of open spaces for you to sit down and have a picnic, and also to play games with the family. Bikes and scooters are allowed so you can ride around the park. The park itself holds many activities for children during the holidays. They are again holding a word trail this summer where you walk around the park looking for clues to words to make up a sentence…and at the end you get a small prize. Other events include tree climbing, pond dipping, nature trail, guided walks with the ranger and many more. Plenty of activities to keep you entertained throughout the summer! Here’s a short video of our afternoon spent at Ferry Meadows. Looks amazing so easy to see how you can spend a full day here, I love the look of the little train and I bet the children adore riding on it and waving to the passengers too. Some great den building going on there and such a cute video. Thank you for joining me for Country Kids. Wow, the word trail sounds like a really neat idea. Looks like y’all had a great day.